The title does kind of say it all. 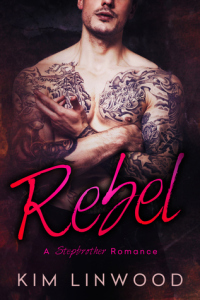 This amazing claim belongs to Kim Linwood, author of Rebel: A Stepbrother Romance. I found it in a recent blog post by my friend, MMJaye, and just had to confirm it was not a typo. Turns out that Kim had published a couple of short stories on Amazon to wet her feet with the publishing process – with no success. Then, she wrote her novel and published it on Amazon. Two weeks later, she had sold 12,000 copies and reached #11 in the entire Kindle store – without the strength of any platform behind her. MMJaye has interviewed Kim, who sounds like a lovely person and a dedicated author. I strongly suggest you read the interview in its entirety, but I wanted to focus here on the things Kim did right, so that we can learn from her extraordinary success. Stepbrother romance, huh? Time to steam things up between James and Agony, I guess. I’m still scratching my head on that one.